Eldest of the Tendou girls and is the most gentle of the lot. She has graduated high school and spends most of her day looking after the Tendou household, acting as the family's substitute "matriarch" ever since her mother's untimely death; by cooking, cleaning and helping her family. Kasumi is portrayed as the perfect lady, with a very sweet, caring and self-sacrificing personality. 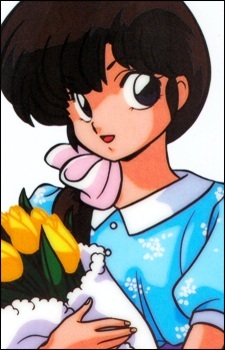 Probably because of her extremely lovely nature, she is seldom affected by most of the crazy happenings around her and is wise in seeing through Nabiki's schemes.